Senior Manager, Assistant General Manager.There are 86 RailTel Jobs Opening Notification released in 2017. For more information follow bellow RailTel Vacancy 2017 details. To Get Instant Freshers JobUpdate Visit www.freshers-job.com. 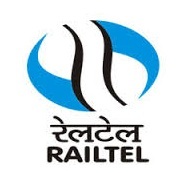 RailTel Corporation of India Ltd. Railtel is a Miniratna enterprise under Government of India. Railtel Providing broadband and VPN services in India. This is a bright opportunity for all job seeker to get a government job in RailTel. Every year Railtel recruits fresher and experienced candidates. All the aspirants from Batch of 2016 2017 can apply for this AE, AGM Posts. For all Diploma, BE / BTech, BSc Engineering from recognized Board are eligible for this recruitment.This is a central government Job Opening. Details about RailTel Recruitment 2017 is given official notification. In central government sector there is a good working environment. Under RailTel Opening 2017 there is a good salary structure. Assistant Engineers: Diploma (3 yrs. Course) with min. 55% marks or equivalent CGPA, in any one of the following branches: Electronics & Communication Engineering. or Telecommunications Engineering. or Electronics Engineering. or Electrical Engineering. or Electronics & Electrical Engineering. or Computer Science or Information Technology or any other combination of branches where Electronics is one of the branches like Electronics & Instrumentation OR BE/B.Tech/B.Sc. (Engineering) or equivalent engineering Degree with min. 55% marks or equivalent CGPA, in any one of the following branches: Electronics & Communication Engineering. or Telecommunications Engineering. or Electronics Engineering. or Electrical Engineering. or Electronics & Electrical Engineering. or Computer Science or Information Technology or any other combination of branches where Electronics is one of the branches like Electronics & Instrumentation OR iii) Master in Computer Applications (MCA) with min. 55% marks or equivalent CGPA. Minimum Age for RailTel Recruitment 2017: 18 Years and Maximum 30 Years. Age relaxation is applicable as per Government of India rules applicable for different categories SC/ST/OBC/PwD visit RailTel official Notification 2017 for more reference. Check fee details in official notification of RailTel for Assistant Supervisor-Account academic qualification, application fee, selection procedure, exam pattern are present in official Notice. Selected Candidates for this RailTel Notification posts will get a Rs Stipend up to @ Rs.20,00-54,500/- month to month pay scale as per Government norms with Rs. good amount of grand pay.